I was going to go to bed early last night. I was going to be really productive today. I was going to finish my book for book club that's due tomorrow, and was going to write a paper for class that's due next week, I was going to finally write a blog post about taking Henry to the park with Nick last week. But then last night I got an email. And well... all the stuff I was GOING to do seems to have been pushed back. 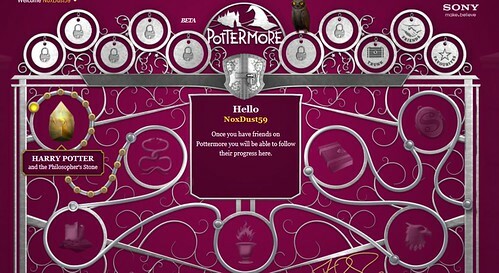 Instead Whitney and I have totally been geeking out over Pottermore all day. 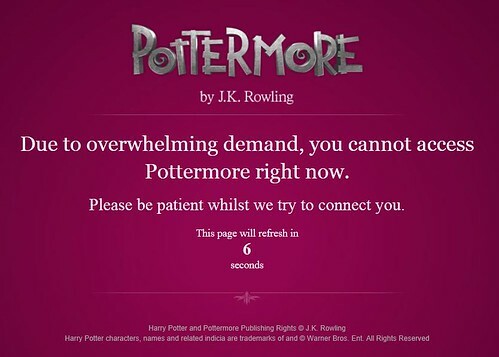 Oh Pottermore, you are such a tease. 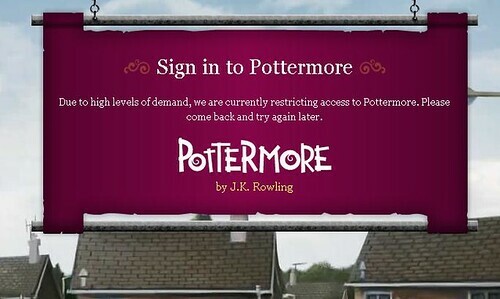 I am about to get my wand, but am locked out right now due to every other Beta member being online and getting ahead of me. (GIANT SIGH). I will of course let you know my house, which had best not be Slytherin, once I am sorted. I know you all are DYING to know. Okay, I was hoping for Gryffindor. I ADMIT IT. But really... 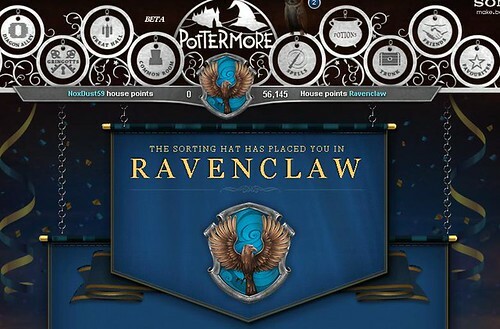 I have always known that if I was really sorted, I would be a Ravenclaw at heart. I will wear my blue and silver with pride! 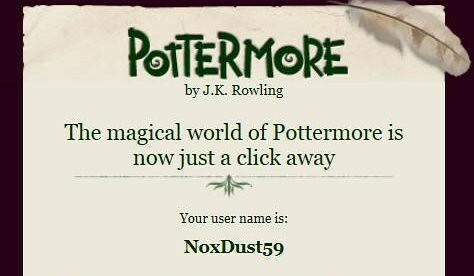 Anybody else been sorted? What is your house? EEK. I was thrilled for Ravenclaw because I have a huge crush on Luna, so I like the idea she and I could be friends.